New feature more top prizes winning coming! You should be expecting more top prizes winning with our new features in our Win4D Advance software. 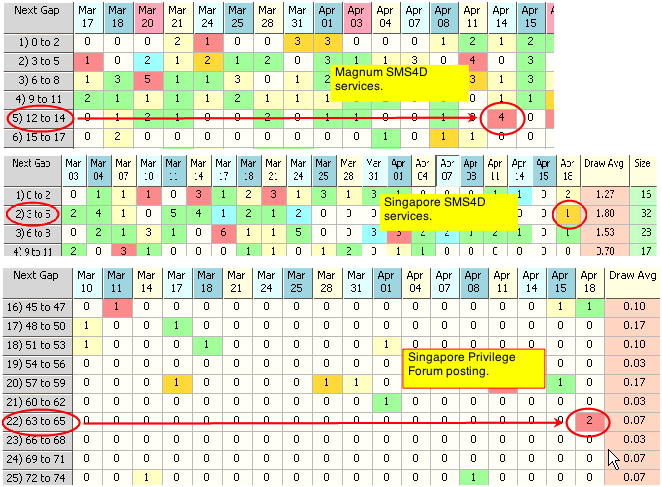 The recent improvement in our Win4D Advance has proven in our few round of SMS and forum posting that hit top prizes either in Malaysia Magnum or Singapore 4D game. The capture images below shows you some ideas on our new features.